We woke up to snow today and it doesn’t seem to be slowing down. It will probably become apparent at some point that I like taking pictures of birds. We have a standing rib roast in the smoker and there’s snow on the ground. 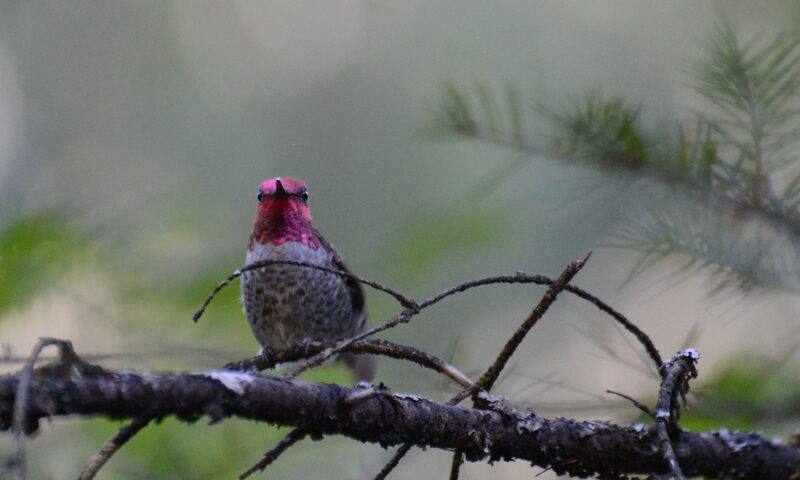 The shot you see when you arrive here is a hummingbird on a branch just off of my deck in Rhododendron, Oregon. I was using a Nikon D600, with available light and manual settings.